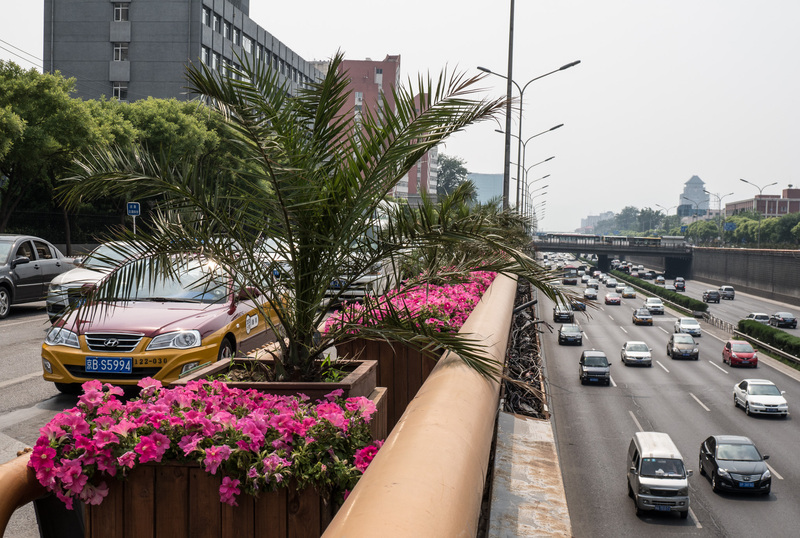 Flowers on a media strip of the Fourth Ring Road. The road in this area is sunken, with streets on either side to serve more local traffic. a very surprising perspective…and a beautiful capturing of color in a situation where one doesn’t expect flowers so pink.